Thompson Rivers University Students’ Union hosted its annual Clubs Day event on Sept. 14 outside of Old Main. More than 50 clubs made an appearance at the event, with clubs ranging from the academic, athletic, ethnic, political to religious. 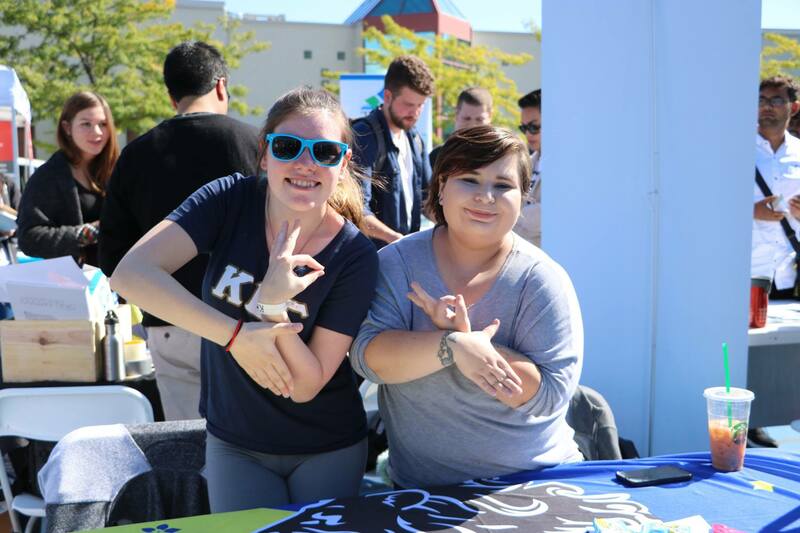 Some groups, like the Kappa Beta Gamma International Sorority that has been around as a local sorority for two years recently diversified itself to be the first and only international Sorority on campus. “This year we are focusing on making sure that the community knows we are here, getting around and becoming a bigger sorority rather than a local sorority,” said club vice-president Rayne Atkins. Another club on display was the LGBTQ Club, which organizes socials every Monday and Tuesday as a way to connect and have fun without the organizational aspect of meetings. It also provides opportunities for students to hang out, meet new people, make friends and get access to resources. One of the most crowded tables belonged to the TRU Modern Marketing Association. The club, which is relatively new, made efforts to sign up members from different disciplines. “The club is growing now, a lot of people are signing up for it,” said a member Dan Jacobs. If you are interested in becoming a confident public speaker and strong leader, the TRU ToastMasters Club might be for you. A recent addition to the group of clubs that focuses on helping students become more confident speakers and leaders. The club is a part of the international ToastMasters organization. In addition to the clubs, Kamloops Fire Rescue was also part of the event. “We are telling people about cooking safety, making sure the smoke alarms work and other safety precautions,” said Lyle Weninger, a representative from the department. If your schedule is not already busy enough, try adding some extracurricular activities. Whether you are looking for opportunities to meet new people, make friends or building greater connections in class and with peers in the same or similar areas of study, there is a club for everything. There is an opportunity for students to start new clubs, as well. By visiting the front desk at the students’ union building or going to the TRUSU website, students can start the process of getting a new club up and running.